The dark green saturation of the double bamboo palm's leaves increases the richness of its overall appearance. It's an excellent statement piece for your home or office. 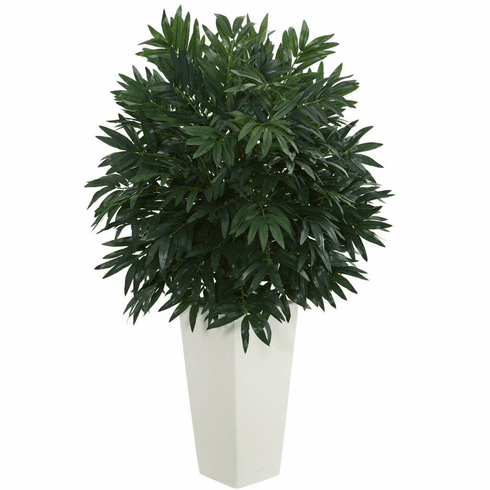 Place this artificial plant in a light corner to bring out the depth of this ornamental piece. Size: Height: 37 In., Width: 22 In., Depth: 22 In.